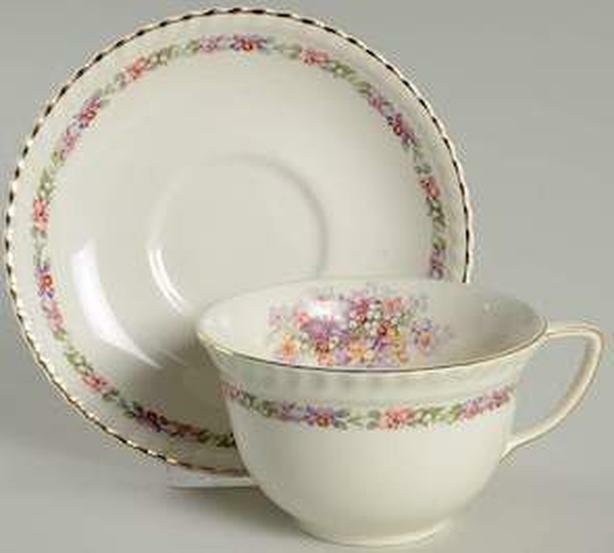 Antique white porcelain china. Stamped: Queen's Bouquet, Old English, Johnson Bros. Specially made in honour of Queen Elizabeth during her Royal visit to Canada 1939. Set includes: 7 Piece place setting, matching fruit/dessert bowls, soup bowls with saucers, gravy boat with saucer, creamer and sugar bowl, large veggie bowl, platters etc. Good condition.